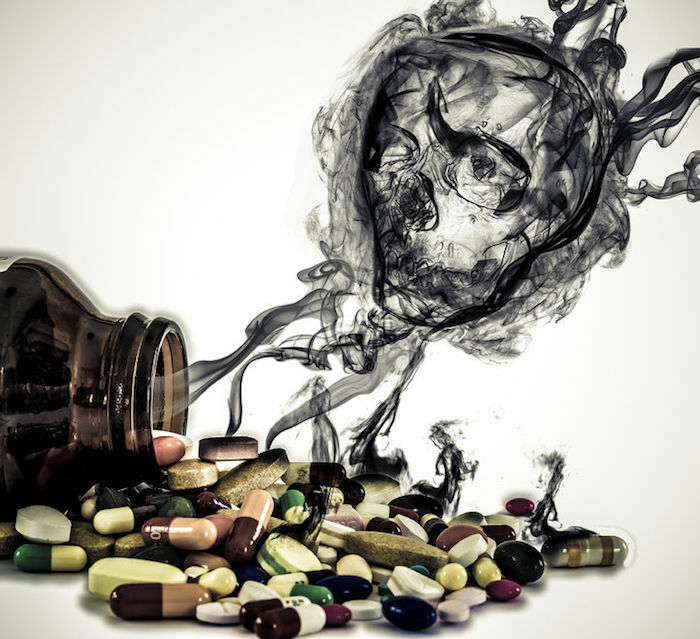 Since 1997, when the United States became one of only two developed nations that allows direct-to-consumer pharmaceutical advertising, addiction to prescription drugs and prescription drug overdoses have quadrupled (Real Leaders, 2016). In fact, last year, deaths due to prescription drug overdoses surpassed 50,000 per year, dwarfing the number of deaths due to motor vehicle accidents (37,757) and to gun violence (36,252) (Chicago Tribune, 2016). Especially culpable are synthetic opioids, a class of central nervous system depressants such as tranquilizers, sedatives, and pain relievers, which claimed a death toll of 9,580 people in 2016, representing a 73% increase (Chicago Tribute, 2016). Although abuse of prescription painkillers such as Vicodin and OxyContin only increased by 4%, they took the largest toll, killing 17,536 (Chicago Tribune, 2016). In fact, the Centers for Disease Control (CDC) reported that for the first time in twenty years, the nation’s life expectancy declined, and cited drug overdoses as a significant contributing factor (Chicago Tribune, 2016). Although the hyper-politicized war on terror receives far more publicity, prescription drugs kill nearly fifteen times as many Americans per year than the casualty toll of domestic terrorist attacks from over thirteen years combined (Real Leaders, 2016). Rather than stemming from an illicit transaction on a dimly lit street corner with an unscrupulous character, eighty percent of opioid addictions originate from a stethoscope-wearing, prescription-pad wielding physician dispensing legitimate prescriptions for pain medication (Real Leaders, 2016). Furthermore, instead of being distributed via drug trafficking rings commandeered by international drug lords, the opioids are manufactured in pristine labs by Big Pharma, with legal sanction from the Food and Drug Administration (FDA) and Drug Enforcement Administration (DEA) (Tough, 2001). Much of this is due to a Stamford, Connecticut-based pharmaceutical company, Purdue Pharma, which introduced the opioid analgesic OxyContin, a sustained-release oxycodone preparation, onto the market in 1995. A close cousin of other opium derivatives such as heroin, morphine, fentanyl, methadone, and codeine, OxyContin was developed in a German laboratory in 1916 (Tough, 2001). Its sales ballooned from $48 million dollars in its first year to $3.1 billion a decade later, with over 14 billion prescriptions being dispensed in 2001 and 2002, leading Purdue to corner nearly one-third of the painkiller market (Mariani, 2015; Van Zee, 2009). One of the three founding brothers of Purdue Pharma, Arthur Sackler, was one of the first pharmaceutical advertisers to cultivate reciprocity relationships with doctors to incentivize physicians to prescribe the drugs they promoted, a model which would later become the modus operandi for the entire pharmaceutical industry (Mariani, 2015). Although OxyContin offered no advantage over its opioid relatives, an aggressive marketing campaign in excess of $200 million pursued by Pharma led to its dominance in the market (Van Zee, 2009). Purdue employed perfidious tactics such as compiling databases of the highest and least discriminate opioid prescribers and targeting reps to frequent those health care professionals (Van Zee, 2009). According to Van Zee (2009), “A lucrative bonus system encouraged sales representatives to increase sales of OxyContin in their territories, resulting in a large number of visits to physicians with high rates of opioid prescriptions, as well as a multifaceted information campaign aimed at them”. In a single year alone, Purdue paid out over $40 million in sales bonuses to its pharmaceutical reps (General Accounting Office, 2003). Purdue likewise recruited medical practitioners to attend all-expenses-paid symposia at luxury resorts, a practice which has been demonstrated to influence physician prescribing habits, and initiated a redeemable starter coupon program to supply patients with a free limited-time prescription (General Accounting Office, 2003; Orlowski & Wateska, 1992). Further, according to the DEA, Purdue undertook concerted efforts to distribute branded promotional items to health care providers at an unprecedented rate (General Accounting Office, 2003). Purdue similarly encouraged the liberal prescription of opioids by primary care physicians (PCPs), despite expert concerns that PCPs were not qualified to evaluate and manage complex pain management (Tough, 2001). According to Mariani (205), “It would become one of Purdue’s preeminent missions to make primary care doctors less judicious when it came to handing out OxyContin prescriptions”. Despite lack of scientific consensus in the use of opioids for non-cancer related pain, and results of prospective, randomized trials demonstrating “only small to modest improvement in pain relief, with no consistent improvement in physical functioning” in non-terminal pain cases, Purdue forcefully targeted the non-malignant pain market to capture new markets, leading to an approximate tenfold increase in OxyContin prescriptions for chronic pain from 670,000 in 1997 to 6.2 million in 2002 (Van Zee, 2009). Not only did they mobilize efforts toward physician prescribing, but they also generously donated to patient advocacy organizations such as the American Chronic Pain Association, the American Pain Foundation, and the National Foundation for the Treatment of Pain, in order to transform the negative rhetoric surrounding opiate use. Purdue likewise launched a public education program called Partners Against Pain to expand and secure the opioid market and to enhance their bottom line (Tough, 2001). In fact, “From 1996 through July 2002, Purdue funded more than 20,000 pain-related educational programs through direct sponsorship or financial grants, 19 providing a venue that had enormous influence on physicians’ prescribing throughout the country” (Van Zee, 2009). Pivotally, according to Van Zee (2009), “A consistent feature in the promotion and marketing of OxyContin was a systematic effort to minimize the risk of addiction in the use of opioids for the treatment of chronic non–cancer-related pain,” citing an extremely small risk of addiction in their brochures and promotional material. Purdue cherry-picked studies and taught their reps to reference a low diversion potential and less than one percent addiction rate; however, literature reviews have elucidated that the prevalence of addiction varies from 0% to 50% according to the criteria employed and cohort studied (Hojsted & Sjogren, 2007). While addiction prevalence rates vary, Reid and colleagues (2002) found prescription opioid abuse in 24% to 31% of non-cancer chronic pain patients. Katz and colleagues (2003), on the other hand, found drug abuse in 43% of patients maintained on chronic opioid therapy. Another study at the Veterans Administration (VA) Medical Center in Seattle showed that 34% of pain clinic patients using chronic opiates met abuse criteria (Chabal et al., 1997). In addition, a retrospective study of 470 patients in a pain management program highlighted that 45% had abnormal urine screens, indicating opioid abuse (Michna et al., 2007). Purdue’s deceptive sales tactics led to over 300 lawsuits concerning OxyContin to be filed against their company as of 2003 (General Accounting Office, 2003). The fraudulent misrepresentation of addiction rates led to Purdue Pharma and its affiliate to plead guilty to criminal charges of misbranding and to pay $634 million in fines (Van Zee, 2009). Prescribing practices differed by geographical area, with patients in Alabama, Maine, West and southwestern Virginia, and Eastern Kentucky being prescribed Oxycontin at five to six times the national average (DEA, 2000). In addition to rural Maine and the rust-belt counties of eastern Ohio and western Pennsylvania, the Appalachian area of Virginia, West Virginia, and Eastern Kentucky were disproportionately hit, so much so that in 2015 Purdue agreed to pay Kentucky $24 million in a civil lawsuit accusing the drugmaker of misleading doctors and patients about their blockbuster drug, leading to an epidemic of addiction, especially among coal miners who were prescribed OxyContin (CBS News, 2015; Tough, 2001). The qualities uniting these areas include dismal economic opportunity, high unemployment rates, histories of prescription drug abuse, possessing large populations of disabled people, having little access to rehabilitation clinics, and being “far from the network of Interstates and metropolises through which heroin and cocaine travel” (Tough, 2001). Although once labeled “hillbilly heroin” and confined to remote locales, OxyContin abuse began to spread nationally, and by 2004, became the most recreationally used prescription opioid in the United States (Cicero, Inciardi, & Munoz, 2005). The liberalization of prescription opioid use for non-malignant pain led to skyrocketing availability and rates of abuse in other opioids as well. Van Zee (2009) reports that there was a 402%, 226%, and 73% increase in oxycodone, fentanyl, and morphine prescribing between 1997 and 2002, with 641%, 346%, and 113% increases in hospital emergency department mentions of fentanyl, oxycodone, and morphine, respectively, during the same time period (Gilson et al., 2004). By 2002, national deaths from prescription opioid overdoses eclipsed those of heroin and cocaine (Paulozzi, Budnitz, & Yongli, 2006). Alarmingly, despite only comprising five percent of the global population, America uses 85% of all opioids worldwide (Real Leaders, 2016). With recent increased government regulation, the opioid epidemic has morphed and evolved: “Like a shrewd virus that mutates once it confronts a vaccine, Americans’ addiction to opioids has survived the government crackdown on OxyContin and fled to the seedy asylum of heroin. 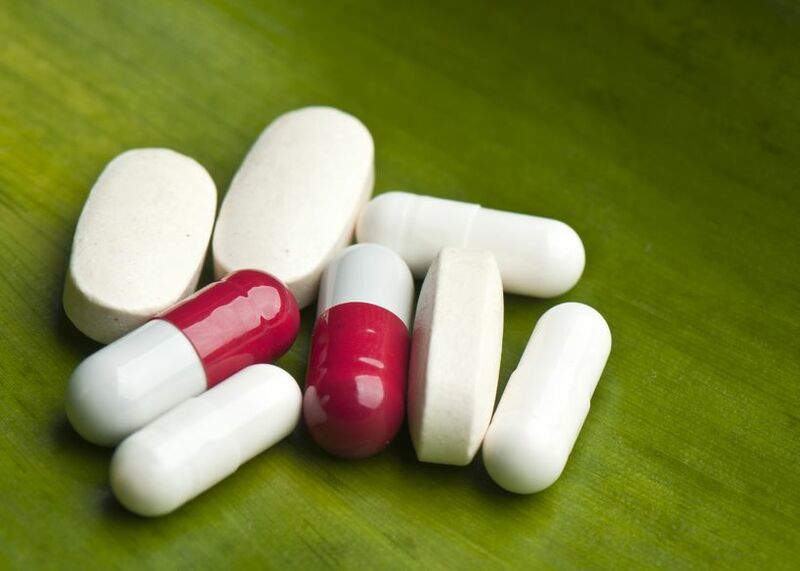 It’s a kind of evolution in retrograde, with pill users turning to an old 20th-century scourge that once flourished in urban decay and is uglier, more stigmatized, and more lethal than its pharmaceutical counterpart” (Mariani, 2015). Because the for-profit medical enterprise operates on corporate monopoly and revolves around publicly traded pharmaceutical companies, maximizing shareholder profits, rather than promoting wellness, is their primary objective. Big Pharma counts on a perpetual cycle of future revenue by selling drugs which engender new symptoms and create lifetime users. Thus, the enemy of our disease management system, which centers around chemical magic-bullet cocktails, is open-source, biocompatible, freely extracted and accessible botanical medicine, since the medical-pharmaceutical industrial complex is based on intellectual property control over synthetic, patentable medications. As published in the Journal of the American Medical Association, 106,000 hospitalized patients die each year from the properly prescribed used of medications due to adverse drug events, excluding “errors in drug administration, noncompliance, overdose, drug abuse, therapeutic failures, and possible ADRs [adverse drug reactions]” (Lazarou, Pomeranz, & Corey, 1998). Serious ADRs occur in 6.7% of hospitalized patients, and in 1994, ADRs represented between the fourth and sixth leading cause of death (Lazarou et al., 1998). Likewise, because opioids are inconsistent in efficacy and have well-characterized side effect profiles, including gastrointestinal distress, sedation, respiratory depression, hormonal and immunological toxicity, opioid-induced hyperalgesia, and a high incidence of abuse, addiction, and fatal overdose, a more natural approach is warranted (Ballantyne, 2006). 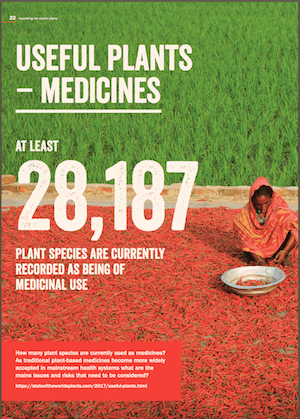 As indexed in GreenMedInfo’s extensive databases, there are a wide array of natural, non-toxic, scientifically validated botanical and nutraceutical agents that can be substituted in place of potentially lethal pharmaceutical poisons. For instance, members of the Zingiberaceae family, including turmeric (Curcuma longa), ginger (Zingiber officinale), and galangal (Alpinia galanga), have long been analgesic staples in traditional medical systems. A systematic review and meta-analysis from the Journal of Nutrition found that Zingiberaceae extracts were effective in reducing subjective chronic pain, with a dose-response relationship emerging (Lakhan, Ford, & Tepper, 2015). The authors conclude, “Our findings indicated that Zingiberaceae extracts are clinically effective hypoalgesic agents and the available data show a better safety profile than non-steroidal anti-inflammatory drugs” (Lakhan et al., 2015). Gingerol and zingerone, the primary active anti-inflammatory constituents in ginger, modulate production of inflammatory leukotrienes and prostaglandins and inhibit NF-κB (Lantz et al., 2007; Hsiang et al., 2013; Thomson et al., 2002). For example, a systemic review of randomized controlled trials (RCTs) demonstrated that ginger powder, administered during the first three to four days of the menstrual cycle, is effective for dysmenorrhea (Daily et al., 2015). Other studies have shown that ginger exerts analgesic and anti-inflammatory effects in delayed onset muscle soreness (DOMS) induced by eccentric exercise, or physical exertion to which athletes were unaccustomed (Hoseinzadeh et al., 2015). Curcuminoids, on the other hand, which are polyphenol derivatives of the spice turmeric, may reduce pain through ATP-sensitive potassium channels and through both opioid and non-opioid mediated mechanisms (De Paz-Campos et al., 2012; Tajik, Tamaddonfard, & Hamzeh-Gooshchi, 2007). In addition, one of the pleiotropic actions of curcumin is to down-regulate nuclear factor (NF)-κB and cyclooxygenase 2 (Cox-2), preventing the expression of inflammatory eicosanoid pain mediators (Sandur et al., 2007; Samad & Abdi, 2001). Another systematic review and meta-analysis of eight RCTs, including 606 patients, elucidated that curcuminoids have been found to significantly reduce pain independent of the dose administered or the duration of treatment (Sahebkar & Henrotin, 2015). For example, pilot human trials have shown efficacy in improving symptoms of both rheumatoid arthritis and inflammatory bowel disease (Chandran & Goel, 2012; Holt, Katz, & Kirschoff, 2005). Curcumin has also been shown to prevent and mitigate diabetic mellitus and its complications, including diabetic neuropathic pain, by reversing abnormalities in voltage-gated sodium channels (VGSCs) in neurons of the injured dorsal root ganglion (DRG) (Meng et al., 2015). The gum resin extracted from the bark of a traditional Ayurvedic medicine, Boswellia serrata or Indian frankincense, is a potent anti-inflammatory, analgesic, and anti-arthritic agent (Basch et al., 2004). According to Prahavathi et al. (2014), “Its main pharmacologically active ingredients are α and β boswellic acid and other pentacyclic triterpenic acids which have been shown to inhibit pro-inflammatory processes by their effects on 5-lipooxygenase, cyclo-oxygenase and the complement system”. In particular, the boswellic acid acetyl-11-keto-β-boswellic acid (AKBA) inhibits 5-lipoxygenase (5-LOX), a crucial catalyst in the inflammatory cascade (Ernst, 2008). Researchers go so far as to suggest that Boswellia serrata extract (BSE) is a viable alternative to NSAIDs (Abdel-Tawab, Werz, & Schubert-Zsilavecz, 2011). Boswellia has been shown to significantly increase pain threshold and pain tolerance compared to placebo, and proprietary Boswellia extracts have significantly improved pain scores and functional ability in osteoarthritis subjects after just seven days of supplementation (Sengupta et al., 2010; Prahavathi et al., 2014). Researchers corroborated their human findings with in vitro data showing that Boswellia gum resins inhibit the cartilage degrading enzyme matrix metalloproteinase (MMP)-3 and reduce inflammation via suppression of cell adhesion molecule ICAM-1 (Sengupta et al., 2010). Cannabis sativa contains approximately one hundred distinct cannabinoids, which influence the endogenous endocannabinoid system, and thus modulate mood, social behavior, cognition, motor function, and perception of pain (Wei, 2017; Steafano, Liu, & Goligorsky, 1996). CB1 receptors are largely localized in regions of the brain that control higher executive functions, motor functions, and nociception, meaning the response of the sensory nervous system to pain (Pertwee, 1997). In contrast, CB2 cannabinoid receptors are found predominantly in non-neuronal tissue, such as on immune cells, where they govern immunosuppression and inhibit neurotransmission of pain (Pertwee, 1997; Pertwee, 2001). According to Pertwee (2010), there is potent evidence in animal models that cannabinoids can induce antinociception in acute and tonic pain models by activating CB1 receptors in the amygdala, periaqueductal grey, thalamus, superior colliculus, and both the rostral ventromedial medulla and A5 noradrenergic group of the brainstem. In fact, there is proof that these receptors co-localize with substance P and calcitonin gene-related peptide (CGRP), both of which function in the transmission of pain and neuroinflammation (Pertwee, 2010). Another mechanism by which cannabinoids may inhibit pain is via inhibition of inflammatory eicosanoid release by activation of CB2 receptors on immune cells located in the vicinity of nociceptive neurons. For instance, CB2 may inhibit mast cell degranulation and liberation of inflammatory agents or favorably influence expression of anti-inflammatory agents (Molina-Holgado et al., 1999). A systemic review of randomized controlled trials examining the use of cannabis in non-cancer chronic pain, including patients with neuropathic pain, rheumatoid arthritis, fibromyalgia, mixed chronic pain, and neuropathic pain, demonstrated a significant improvement in pain and often sleep compared to placebo (Lynch & Campbell, 2009). Another comprehensive meta-analysis of inhaled cannabis supports its efficacy in the short-term treatment of neuropathic pain, and in his survey of randomized controlled trial results, Aggarwal champions its long-term medical use for chronic pain conditions (Andreae et al., 2015; Aggarwal, 2013). In fact, in 2014, the Italian government authorized use of cannabis for “for all chronic pain conditions, as well as for spasticity, cachexia, and anorexia among AIDS and cancer patients, ocular hypertension in glaucoma, the alleviation of spasms in Tourette syndrome, and some types of epilepsy” and even dedicated its Military Chemical-Pharmaceutical Factory to cultivate lower-cost cannabis (Fanelli et al., 2017). An explorative retrospective analysis of one of the Italian cohorts of 614 chronic intractable pain patients showed that 64.7% reported improvement associated with cannabis therapy, primarily administered as tea, in association with other pain treatments (Fanelli et al., 2017). The study authors conclude that cannabis therapy is safe and effective, given that no severe side effects were observed, and that 76.2% of patients continued cannabinoid therapy at follow-up (Fanelli et al., 2017). Importantly, studies have demonstrated that implementation of operational medical marijuana laws, as defined by allowances for active dispensaries or home cultivation, was associated with reductions in opioid positivity among 21- to 40-year-old fatally injured drivers, such that legalizing medical marijuana “may reduce opioid use and overdose” (Kim et al., 2016). This is echoed by an average 13 percent drop in opioid overdoses in states where cannabis has been legalized (Williams, 2017). Further, analysis of the hospital records in 27 states revealed that hospitalization rates due to painkiller abuse and addiction declined 23 percent on average in states offering medical marijuana (Williams, 2017). An article in the JAMA Internal Medicine likewise found a 25 percent decrease in opioid deaths in states with legal marijuana (Bachuber et al., 2014). In contrast, marijuana has never been linked to a single fatal overdose (Bachhuber et al., 2014). Moreover, a study illuminated that doctors write 1800 fewer opioid prescriptions for patients per year in medical marijuana states (Bradford & Bradford, 2016). The researchers state, “National overall reductions in Medicare program and enrollee spending when states implemented medical marijuana laws were estimated to be $165.2 million per year in 2013” (Bradford & Bradford, 2014). Because cannabis has analgesic and immunomodulatory effects and directly interacts with our endogenous pain relief system, it has immense therapeutic promise to replace many of the pharmaceutical toxins that are currently being employed as standards of care. In addition to the aforementioned natural remedies, there are 125 natural substances with analgesic properties catalogued on the GreenMedInfo database, such as lavender, rose, fennel, magnesium, and cinnamon, any of which would help restore balance and ameliorate pain without the devastating effects of opioids. Lastly, instead of applying the symptom-suppressive lens of conventional biomedicine and putting band-aids on bullet wounds, it would be prudent for us to address the underlying causes of dysfunction, such as toxicant burden, micronutrient depletion, non-restorative sleep, and deviation from the ancestral lifestyle to which we are evolutionary accustomed. Abdel-Tawab, M., Werz, O., & Schubert-Zsilavecz, M. (2011). Boswellia serrata: An overall assessment of in vitro, preclinical, pharmacokinetic and clinical data. Clinical Pharmacokinetics, 50, 349–369. Aggarwal, S.K. (2013). Cannabinergic pain medicine: a concise clinical primer and survey of randomized-controlled trial results. Clinical Journal of Pain, 29, 162–171. Andreae, M.H., Carter, G.M., Shaparin, N., Sulov, K., Ellis, R.J., Ware, M.A.,…Sacks, H.S. (2015). SulovInhaled cannabis for chronic neuropathic pain: a meta-analysis of individual patient data. Journal of Pain, 16(12), 1221–1232. Bachhuber, M.A., Saloner, B., Cunningham, C.O., & Barry, C.L. (2014). Medical cannabis laws and opioid analgesic overdose mortality in the United States, 1999-2010. Journal of the American Medical Association, 1668-1673. Ballantyne, J.C. (2006). Opioids for chronic nonterminal pain. South Medical Journal, 99(11), 1245-1255. Basch, E., Boon, H., Davies-Heerema, T., Foppo, I., Hashmi, S., Hasskarl, J., Ulbricht, C. (2004). Boswellia: An evidence-based systematic review by the Natural Standard Research Collaboration. Journal of Herb Pharmacotherapy, 4, 63–83. Bradford, A.C., & Bradford, W.D. (2016). Medical Marijuana Laws Reduce Prescription Medication Use In Medicare Part D. Health Affairs, 35(7), 1230-1260. Chabal, C., Erjaved, M.K., Jacobson, L., Mariano, A., & Chaney, E. (1997). Prescription opiate abuse in chronic pain patients: clinical criteria, incidence, and predictors. Clinical Journal of Pain, 13, 150–155. Chandran, B., & Goel, A. (2012). A randomized, pilot study to assess the efficacy and safety of curcumin in patients with active rheumatoid arthritis. Phytotherapy Research, 26, 1719–1725. doi: 10.1002/ptr.4639. Cicero, T., Inciardi, J., & Munoz, A. (2005). Trends in abuse of OxyContin and other opioid analgesics in the United States: 2002–2004. Journal of Pain, 6, 662–672. Daily, J.W., Zhang, X., Kim, D.S., & Park, S. (2015). Efficacy of Ginger for Alleviating the Symptoms of Primary Dysmenorrhea: A Systematic Review and Meta-analysis of Randomized Clinical Trials. Pain Medicine, 16(12), 2243-2255. doi: 10.1111/pme.12853. De Paz-Campos, M.A., Chavez-Pina, A.E., Ortiz, M.I., & Castaneda-Hernandez G. (2012). Evidence for the participation of ATP-sensitive potassium channels in the antinociceptive effect of curcumin. Korean Journal of Pain, 25, 221–227. doi: 10.3344/kjp.2012.25.4.221. Drug Enforcement Agency (DEA). (2002). States of Alabama, Maine, Kentucky, Virginia, and West Virginia Drug Profile by County—OxyContin, Oxycodone (Excluding OxyContin), and Hydrocodone—2000. Washington, DC: Office of Diversion Control, Drug Enforcement Administration. Ernst E. (2008). Frankincense: Systematic review. British Medical Journal, 337, a2813. Fanelli, G., De Carolis, G., Leonardi, C., Longobardi, A., Sarli, E., Allegri, M., & Schatman, M.E. (2017). Cannabis and intractable chronic pain: an explorative retrospective analysis of Italian cohort of 614 patients. Journal of Pain Research, 10, 1217-1224. doi: 10.2147/JPR.S132814. Gilson, A.M., Ryan, K.M., Joranson, D.E., & Dahl, J.L. (2004). A reassessment of trends in the medical use and abuse of opioid analgesics and implications for diversion control: 1997–2002. Journal of Pain and Symptom Management, 28, 176–188. Hojsted, J., & Sjogren, P. (2007). Addiction to opioids in chronic pain patients: a literature review. European Journal of Pain, 11, 490-518. Holt, P.R., Katz, S., & Kirshoff, R. (2005). Curcumin therapy in inflammatory bowel disease: a pilot study. Digest Disease Science, 50, 2191–2193. doi: 10.1007/s10620-005-3032-8. Hoseinzadeh, K., Daryanoosh, F., Baghdasar, P.J., & Alizadeh, H. (2015). Acute effects of ginger extract on biochemical and functional symptoms of delayed onset muscle soreness. Medical Journal of Islam Republic of Iran, 29, 261. Hsiang, C.Y., Lo, H.Y., Huang, H.C., Li, C.C., Wu, S.L., & Ho, T.Y. (2013). Ginger extract and zingerone ameliorated trinitrobenzene sulphonic acid-induced colitis in mice via modulation of nuclear factor-κB activity and interleukin-1β signalling pathway. Food Chemistry, 136, 170–177. doi: 10.1016/j.foodchem.2012.07.124. Katz, N.P., Sherburne, S., Beach, M., Rose, R.J., Vielguth, J., Bradley, J., & Fanciullo, G.J. (2003). Behavioral monitoring and urine toxicology testing in patients receiving long-term opioid therapy. Anesthesia and Analgesia, 97, 1097–1100. Kim, J.H., Santaella-Tenorio, J., Mauro, C., Wrobel, J., Cerda, M., Keyes, K.M.,…Li, G. (2016). State Medical Marijuana Laws and the Prevalence of Opioids Detected Among Fatally Injured Drivers. Publication of the American Public Health Association, 106(11), 2032-2037. Lakhan, S.E., Ford, C.T., & Tepper, D. (2015). Zingiberaceae extracts for pain: a systematic review and meta-analysis. Journal of Nutrition, 14, 50. doi: 10.1186/s12937-015-0038-8. Lantz RC, Chen GJ, Sarihan M, Solyom AM, Jolad SD, Timmermann BN. The effect of extracts from ginger rhizome on inflammatory mediator production. Phytomedicine. 2007;14:123–8. doi: 10.1016/j.phymed.2006.03.003. Lynch, M.E., & Campbell, F. (2009). Cannabinoids for Treatment of Chronic Non-Cancer Pain; a Systematic Review of Randomized Trials. Archives of Pediatriac and Adolescent Medicine,163(7), 601-607. Megn, B., Shen, L-L., Shi, X-T., Gong, Y-S., Fan, X-F., Li, J., & Cao, H. (2015). Effects of Curcumin on TTX-R Sodium Currents of Dorsal Root Ganglion Neurons in Type 2 Diabetic Rats with Diabetic Neuropathic Pain. Neuroscience Letters, 605, 59-64. doi: 10.1016/j.neulet.2015.08.011. Michna. E., Jamison, R.N., Pham, L.D., Ross, E.L.,Janfaza, D., Nedeljkovic, S.S.,…Wasan, A.D. (2007). Urine toxicology screening among chronic pain patients on opioid therapy: frequency and predictability of abnormal findings. Clinical Journal of Pain, 23, 173–179. Molina-Holgado, E., Guaza, C., Borrel, J., & Molina-Holgado, F. (1999). Effects of cannabinoids on the immune system and central nervous system: therapeutic implications. Biodrugs, 12, 317-326. Orlowski, J.P., & Wateska, L. (1992). The effect of pharmaceutical firm enticements on physician prescribing patterns. There’s no such thing as a free lunch. Chest, 102, 270–273. Paulozzi, L.J., Budnitz, D.S., & Yongli, X. (2006). Increasing deaths from opioid analgesics in the United States. Pharmacoepidemiology and Drug Safety, 15, 618–627. Prabhavathi, K., Shobha Jadish Chandra, U., Soanker, R., & Usha Rani, P. (2014). A randomized, double blind, placebo controlled, cross over study to evaluate the analgesic activity of Boswellia serrata in healthy volunteers using mechanical pain model. Indian Journal of Pharmacology,46(5), 475-479. Reid, M.C., Engles-Horton, L.L., Weber, M.B., Kerns, R.D., Rogers, E.L., & O’Connor, P.G. (2002). Use of opioid medications for chronic non-cancer pain. Journal of General and Internal Medicine, 17, 173–179. Sahebkar, A., & Henrotin, Y. (2015). Analgesic Efficacy and Safety of Curcuminoids in Clinical Practice: A Systematic Review and Meta-Analysis of Randomized Controlled Trials, 17(6), 1192-1202. doi: 10.1093/pm/pnv024. Samad, T., & Abdi, S. (2001). Cyclooxygenase-2 and antagonists in pain management. Current Options in Anaesthesiology, 14, 527–532. doi: 10.1097/00001503-200110000-00011. Sandur, S.K., Pandey, M.K., Sung, B., Ahn, K.S., Murakami, A., Sethi G,…Aggarwal, B.B. (2007). Curcumin, demethoxycurcumin, bisdemethoxycurcumin, tetrahydrocurcumin and turmerones differentially regulate anti-inflammatory and anti-proliferative responses through a ROS-independent mechanism. Carcinogenesis, 28, 1765–1773. doi: 10.1093/carcin/bgm123. Sengupta, K., Krishnaraju, A.V., Vishal, A.A., Mishra, A., Trimurtulu, G., Sarma, K.V.S.,…Raychaudhuri, S.P. (2010). Comparative efficacy and tolerability of 5-Loxin and Aflapin Against osteoarthritis of the knee: a double blind, randomized, placebo controlled clinical study. International Journal of Medical Science, 7(6), 366-77. Stefano, G.B., Liu, Y., & Goligorsky, M.S. (1996). Cannabinoid receptors are coupled to nitric oxide release in invertebrate immunocytes, microglia, and human monocytes. Journal of Biological Chemistry, 271, 19238–19242. Tajik, H., Tamaddonfard, E., & Hamzeh-Gooschi, N. (2007). Interaction between curcumin and opioid system in the formalin test of rats. Pakistan Journal of Biological Science, 10(15), 2583-2586. Thomson, M., Al-Qattan, K.K., Al-Sawan, S.M., Alnaqeeb, M.A., Khan, I., & Ali, M. (2002). The use of ginger (Zingiber officinale Rosc.) as a potential anti-inflammatory and antithrombotic agent. Prostaglandins Leukotrienes and Essential Fatty Acids, 67, 475–478. doi: 10.1054/plef.2002.0441. Van Zee, A. (2009). The Promotion and Marketing of OxyContin: Commercial Triumph, Public Health Tragedy. American Journal of Public Health, 99(2), 221-227. Wei et al. (2017). Endocannabinoid signaling in the control of social behavior. Trends in Neuroscience, 1310, 1-12. The state government of Ohio has filed a lawsuit against five drug companies: Teva, Allergen, Johnson & Johnson, Purdue, and Endo. Here’s the big one: the suit states that, in 2012, a staggering 793 million doses of opioid drugs were prescribed to Ohio citizens. That translates to an average of 68 pills for each person in Ohio. The suit accuses the drug makers of conspiring to influence opinion leaders and various medical groups. This marketing blitz resulted in deceptive treatment guidelines, false information delivered at medical conferences, and misleading “science” articles—all designed to minimize the dire effects of opioids. Well, yes, these painkillers (e.g., OxyContin) do kill pain. In the process, they also creation addiction and turn minds to mush. Apparently, Ohio is pretty much in a collective trance state. We’re talking Zombification. 793 million opioid doses in one year. Don’t forget the doctors who prescribe the drugs. As a group, they can’t care about their patients’ state of mind. Just load people up to the eyeballs with chemical pacification. If you think this over-prescription epidemic corresponds to the actual amount of physical pain Ohio citizens are experiencing, think again. The drugs are obviously being handed out for other reasons: to sustain and feed addiction; to “treat depression”; to “manage dissatisfaction with life.” In other words, drug companies are promoting an ongoing profit bonanza for themselves. The human consequences don’t matter. Keep in mind that drug companies pour advertising money like water into television programming—including the news. The effects of the news and the effects of opioid drugs are a marriage made for the ages. What a marvelous coincidence, right? Contemplate it. Just so happens that the news, with its outright lies, useless information overload, misdirection, omissions of vital facts, lack of context, refusal to investigate deep scandals, cultivation of Voices of Authority, attention-span shortening, and various other strategies designed for trance-induction and mental passivity…join together with an opioid chemical brain sledgehammer that wipes out the possibility of rational thought. Both brought to you by your friend, Big Pharma. 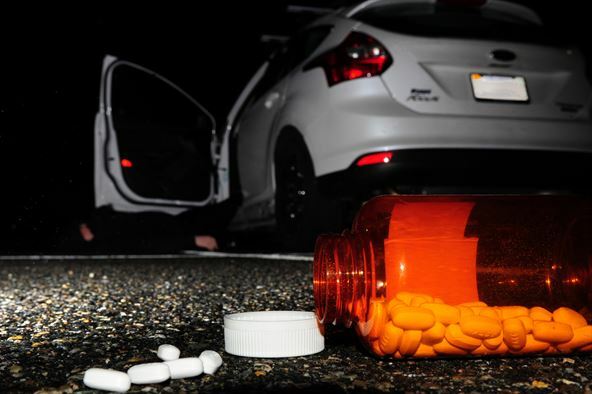 The recent arrest of golfing legend Tiger Woods for driving under the influence of prescription drugs has put the issue of drugged driving back in the spotlight. Although initial reports indicated that Woods had been driving under the influence of alcohol, it was later confirmed that his readings for two breathalyzer tests were 0.00, and that his erratic behavior was actually caused by a cocktail of drugs prescribed after knee and Achilles tendon injuries, as well as a recent back surgery. The state of Ohio is the US capitol for opioid overdoses, with 4,100 deaths by overdose last year alone. The state’s attorney general has filed a lawsuit with five drug companies, alleging deceptive practices and a failure to disclose the drugs’ addictive nature. Mike Papantonio, host of “America’s Lawyer,” joins RT America’s Natasha Sweatte to provide his expert legal perspective.